Pressure loss is minimal to enable high spray impact performance. 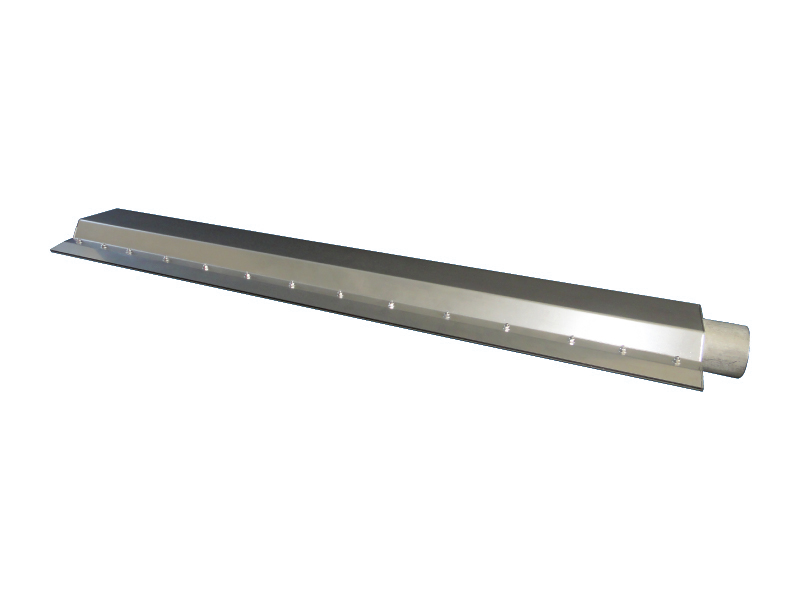 Long thin slit with tapered nose is suitable for installation in a narrow space such as between support rolls. Drastic energy saving is achieved by switching from compressor-using type.